Editor's Note: NEHA strives to provide up-to-date and relevant information on environmental health and to build partnerships in the profession. In pursuit of these goals, we feature a column from the Environmental Health Services Branch (EHSB) of the Centers for Disease Control and Prevention (CDC) in every issue of the Journal of Environmental Health (JEH). 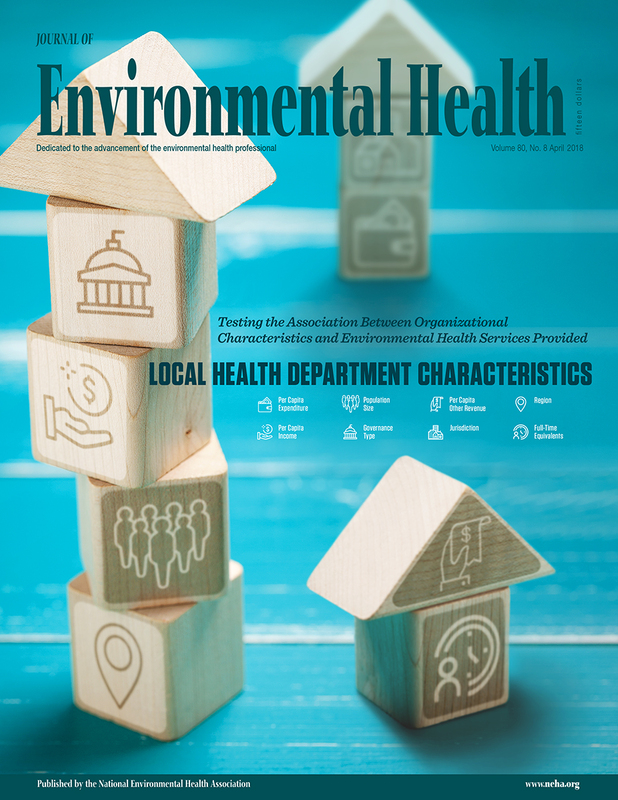 In these columns, EHSB and guest authors share insights and information about environmental health programs, trends, issues, and resources. The conclusions of these columns are those of the author(s) and do not necessarily represent the official position of CDC. By October 25, 2017, the U.S. and its territories documented 42,629 cases of Zika virus disease. Zika renewed the need and importance for mosquito control in local jurisdictions. While vector (i.e., mosquito, tick, and rodent) control is widely viewed as an environmental health responsibility, little is known about the services performed by environmental health vector control (EHVC) programs. To learn more, a list of mosquito control programs across the U.S. was identified and a structured web-based review process was used to identify the types of services EHVC programs offer. The findings of this review can be used to provide recommendations about how environmental health programs and professionals can strengthen their role in vector control with environmental health practices.